The perfect set-up Wednesday night at Crenshaw Gymnasium: Senior Night for Andre Simon and Jamie Robinson, a sold-out crowd pumped to face arch-rival Hampden-Sydney, and a chance to clinch the ODAC Tournament title. Chris Hamilton decided to lead the party in Ashland, and single-handedly sent the Tigers back to Farmville disappointed. Hamilton was 8-for-8 from three-point land, and hit three free throws when fouled behind the arc with 4.1 seconds left in the half as Randolph-Macon rolled 90-67 to clinch the regular season crown and the number one seed in next week's ODAC Tournament in Salem. "He's the best shooter I've ever seen, and I have to guard him every day in practice," said Connor Sullivan, who had nine points on the night. "He's the best shooter in the country." "I know my job here is to be a shooter," Hamilton noted. "It's great to have the confidence of my teammates and coaches to know whether I make five in a row or miss five in a row, they want me to shoot the ball." His final trey, after the ball was almost knocked away from him, came when he pulled up from 30 feet in front of HCS Media's courtside position. When it went in the basket, the sold-out crowd, already providing the best atmosphere for a game in Crenshaw in years, exploded into celebration. On Senior Night, Andre Simon wasn't called to carry the load inside, scoring seven points and happily finding ways to pass the ball to the hot outside shooters. The Jackets shot 56.7% from the field. Lost in it all for the Tigers was a 49% shooting performance and great inside play from Khobi Williamson, who had 17 points, 8 on dunks, and 11 rebounds. But there was simply too much for the Tigers to overcome defensively. Twelve Jackets scored in the game, a sign of their immense depth and ability to continually throw fresh, and talented bodies, at the opposition. If this team can avoid the "ice cold" shooting game, they could go further than the 2012-13 squad, who won the ODAC Tournament from the #3 seed, then made it to the Sweet Sixteen of the NCAA Division III Tournament despite having to travel six plus hours to play three weekends in a row. 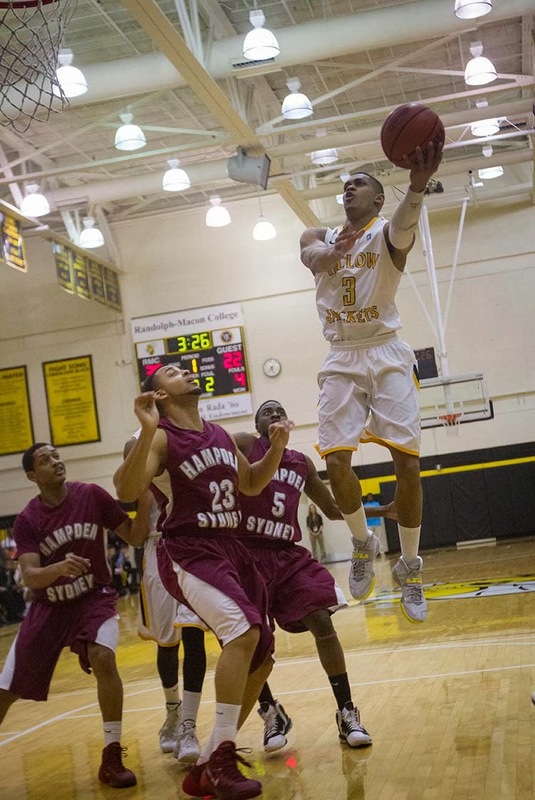 Randolph-Macon looks to avoid a letdown in their regular season finale Saturday, 7pm, at Washington & Lee. NOTES: The win was 112 overall for head coach Nathan Davis...witnessing the win at courtside was Hall of Fame head coach Paul Webb, the father of Randolph-Macon basketball with 315 wins from 1956 to 1975...in this, his fifth season at the helm, Davis has yet to miss an NCAA Tournament appearance. Huber, a junior from Patrick Henry, shown below in Saturday's "Pink Day" victory over Guilford, led the team with 26 points in the contest, a win that clinched a bye in the first round of the 2014 ODAC Tournament. The first-ever 5A South Region Wrestling Tournament this weekend at Clover Hill High School was both successful and disappointing for the Lee-Davis Confederates. They'll send five wrestlers to next week's 5A State Championships, but their three representatives in Regional Final action Sunday night each fell short. Hayden Keener at 113, Chris Morris at 132 and David Boyle at 152 all finished in the runner-up position. Lee-Davis as a team finished fifth overall in team competition. For Atlee, one wrestler had a shot at the gold, and took advantage as Tanner Bazemore captured the 170 pound championship in a hard-fought 2-0 victory. Congratulations to all county wrestlers this weekend at the 5A South and 4A South Tournaments and good luck to Patrick Henry at Monday's delayed 5A North Championship, moved to Leesburg at Tuscarora High School! Another Saturday FULL of action across a wide spectrum of sports around Hanover County, from basketball to swimming, wrestling to gymnastics, plus track & field! 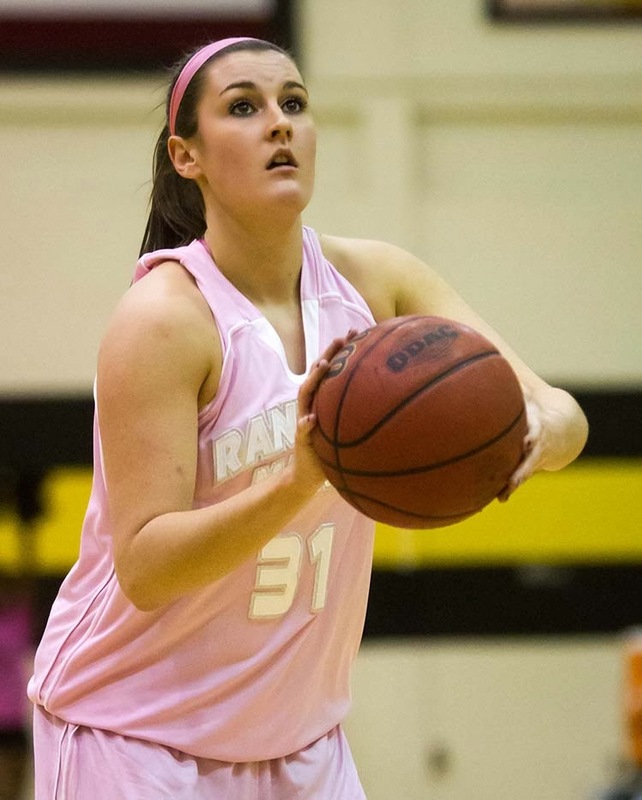 BASKETBALL: The Randolph-Macon women's team clinched a first-round bye in the 2014 ODAC Tournament with a come-from-behind 80-74 win over Guilford at Pink Day in Crenshaw Gymnasium. Down 61-52 with 11:05 to play, the Jackets' defensive intensity picked up, as did their shooting percentage, and Randolph-Macon held the Quakers to just 13 points the rest of the way. Taylor Huber (Patrick Henry) led with 26 points. Freshman Stephanie Staples (Atlee) had 8 points but several key plays defensively as her quick maturation process continues down low on both ends of the floor. The Jackets, now 11-3 in ODAC play, go to Washington & Lee Wednesday before coming home for Senior Day next Saturday to finish the regular season. Randolph-Macon can finish anywhere from 2nd to 4th in the ODAC. The top 4 seeds clinch first round byes in the conference tournament which begins for seeds #5 through #12 on Tuesday, February 25th. The R-MC men's team overcame a very slow start to handle Emory & Henry 65-39 in the second half of the Crenshaw doubleheader. On a day where #2 Guilford and #3 Virginia Wesleyan both lost, the Jackets made sure they, too, did not slip, going on a 15-0 run after three straight Wasps treys had made it a 21-10 E&H lead. Down 30-26 at halftime, the Wasps managed but 8 points in 17 minutes of second half action. By then, it was 60-34 and Nathan Davis' crew was in cruise control. Andre Simon led R-MC with 18 points. Randolph-Macon is 12-2 in ODAC play, 18-5 overall with two games left. Guilford is second at 10-3, Virginia Wesleyan third at 10-4. The Quakers play the Wasps Monday in a makegood game from last week's storm. A win would put them just a game behind the Jackets. Randolph-Macon celebrates Senior Night for Simon and Jamie Robinson on Wednesday when arch-rival Hampden-Sydney comes to Crenshaw for a 7pm matchup. 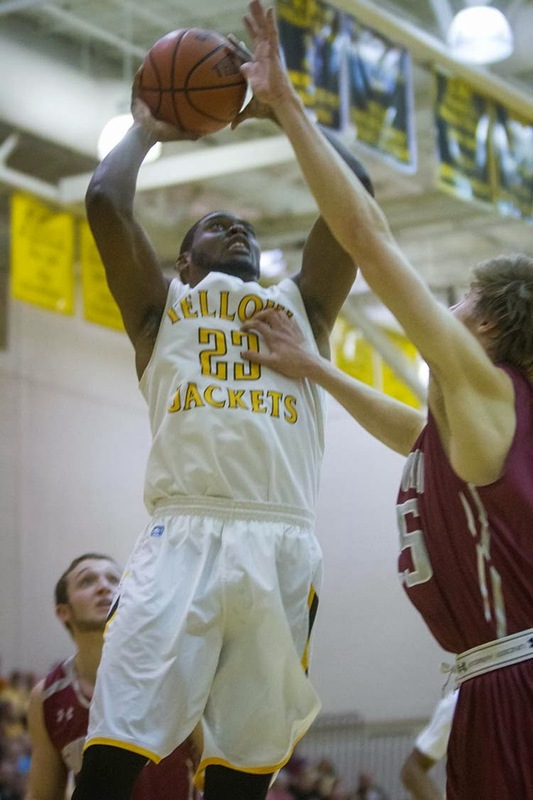 The Jackets won in Farmville 69-60 on January 29th. SWIMMING: The Atlee Raiders won the first-ever 5A South Region Girls Swimming Championship Saturday at Old Dominion University, outpacing Princess Anne 374-317. Great Bridge was 3rd at 266 points. Lee-Davis finished seventh overall with 161 points. Freshman Olivia Fisher won two events for the Raiders, capturing the 50 Yard Freestyle in 24.06, and the 100 Freestyle in 52.40. Fellow freshman Molly Sheffield got a win for Lee-Davis by virtue of her 56.88 time in the Girls 100 Butterfly, winning by nearly two seconds over Jillian Breeger of Menchville. The Raider boys placed third as a team with 305 points, behind winner Princess Anne (410.5) and runner-up Hickory (390.5). Lee-Davis finished eighth with 90 points. Wyatt Grubb won the 100 Butterfly in 51.95 and took third in the 100 Backstroke in a state-qualifying time of 52.04, while Jeremy Edwards took second in the 500 Freestyle in 4:52.49. The county, between Atlee and Lee-Davis in 5A South and Patrick Henry in 5A North, will be well represented at the 5A State Championships next weekend at the new Collegiate School Aquatic Center in Chesterfield. WRESTLING: Gray Hart, Corbin Allen, and T.J. Allen all won indvidual championships for Hanover at the 4A South Regionals at Woodrow Wilson High School in Portsmouth tonight. Hart defeated Malcolm Dawson of Nansemond River to win the 106-pound title, 7-4. At 120 pounds, Tyler Flora was pinned in 3:03 by Nick Garland of Nansemond River to finish second. Corbin Allen, looking for a state title after finishing runner-up at the state level at 138 pounds last year and coming through a frustrating season with his ankle, won the 152 pound crown with a 7-3 decision over Carter Paige of Smithfield. T.J. Allen takes the crown at 182 pounds by defeating Jake Tomlinson of Powhatan by pin in 3:07. Bishop Guempel fell just short at 195 pounds, losing to Elijah Cash of Deep Creek 14-2. Though Hanover will fall short of the 4A South Region team title, they will be well represented at the 4A State Championship next Friday and Saturday at the Salem Civic Center. Lee-Davis and Atlee began work in the 5A South Regionals at Clover Hill with semifinals and championship matches scheduled for tomorrow afternoon and evening in Chesterfield. GYMNASTICS: Patrick Henry senior Kristen Valasek finishes third in the All-Around in the first 5A South Regional Meet held at Deep Run High School. For the second straight week, it was a fall on the beam that cost Valasek, this time a shot at the All-Around title. She won the bars with a 9.8, placed third in floor exercise with a 9.725 and fourth on the vault at 9.575. Valasek advances to the 5A State Open Championship next Saturday in Virginia Beach. TRACK & FIELD: Lee-Davis leads the men's competition over Atlee 48-32 after six events at Day 1 of the 5A South Region Track & Field Championships at Boo Williams SportsPlex in Hampton. The Atlee girls are currently second to Henrico, down 36-32, with Lee-Davis in seventh with 12 points. Listed are Top 10 county finishers in each of Saturday's race. Action resumes on Monday. Girls Pole Vault: 2) Madison Angus, Lee-Davis (9' 9"), 5) Erin McDaniel, Atlee (8' 9"), 6) Jordan Lipinski, Lee-Davis (8' 9"), 7T) Chelsea Rose and Numa Rehmani, Atlee and Yomna Soloman, Lee-Davis (8' 3"). Girls 4 X 800 Relay: 3) Atlee (Katie Gardner, Scarlett Bavin, Chloe Bavin, Katt Grasberger), 9:45.26, 9) Lee-Davis (Madison Doss, Lauren Lewis, Hailey Warren, Shelby Rathert), 10:31.85. Boys 4 X 800 Relay: 1) Lee-Davis (Grayson Morgan, Sheldon Harris, Josh Grant, Paul Adam) 8:06.30, 3) Atlee (David Segovia, Andrew Franco, Tre Fields, Nathaniel Hall) 8:12.12. HIGH SCHOOL HOOPS: Lee-Davis got one more shot at regular season play in makegood games with Maggie Walker Governors School Saturday, with the girls winning at home 40-33, the boys surviving in Richmond 59-57. For the ladies, Kerstin Winston led the way with 17 points while Imoni Boothe added 11. On the boys side, Irving Jones poured in 24 points to helped the Confederates to victory. Boys Semifinals will take place on Wednesday February 19th at 6pm and 7:45pm at Hermitage High School. The Conference 11 Boys Tournament Championship will be Friday February 21st, 8pm, at Hermitage. Girls Semifinals will take place on Thursday February 20th at 6pm and 7:45pm at Highland Springs High School. The Conference 11 Girls Tournament Championship will be Friday February 21st, 6pm, at Hermitage High School. REMINDER: The top two teams from each Conference (tournament winner and runner-up) will advance to the 5A South Regional Tournament beginning Tuesday, February 25th. 1) 5A South Region Gymnastics Championships ARE ON for tomorrow at Deep Run High School! First rotations begin at 12:45pm. This affects all four county schools. 2) 5A North Region Wrestling Tournament (Patrick Henry) moved to Monday 2/17 at Tuscarora High School in Leesburg. It will be a one-day tournament. Schedule being made now, will be released later today. 3) 5A South Region Wrestling Tournament (Atlee/LD) STILL ON for tomorrow AND Sunday at Clover Hill High School. First round matches set to begin at 2pm, second round at 7pm. Sunday begins with semifinals at 1pm, championships approximately 7:30pm. 4) 4A South Wrestling Tournament (Hanover) is now a one-day event scheduled for tomorrow, still at Woodrow Wilson High School in Portsmouth. 5) 5A South Track & Field Championships are now a Saturday/Monday affair at Boo Williams SportsPlex in Hampton. 7) 5A South Swimming Championships are now a one-day event, still at ODU, on Saturday. 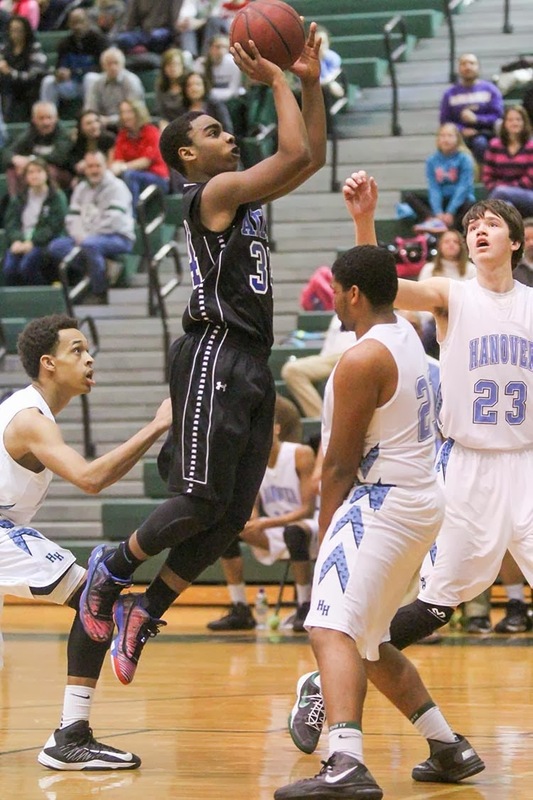 --Hanover boys have clinched the top seed in the Conference 20 Tournament starting Tuesday, receive a bye to the semifinal round where they will play the winner of Dinwiddie and Caroline in the semifinal round. --Patrick Henry girls have the top seed in the Conference 16 Tournament and host #4 Orange Tuesday at 7pm in Ashland. A win would put them as host for the Tournament Final on Friday against the winner of Halifax/Albemarle. --Patrick Henry boys are the #3 seed in the Conference 16 Tournament and will travel to Albemarle for a semifinal game at 7:15 Tuesday night. --Conference 11 Brackets were released just after 5pm Friday and are now here on our website in the post above this one! THE WRAP: SUPER SATURDAY: R-MC Wins Two More, Atlee, Hanover, PH Celebrate Post-Season Wins! COLLEGE BASKETBALL: Randolph-Macon's men's team won its 13th straight game, 84-72 Saturday over Lynchburg to up their ODAC mark to 11-1, tops overall in the conference. The Jackets had six scorers in double digits, led by Andre Simon's 16 points, and are now 17-4 overall. 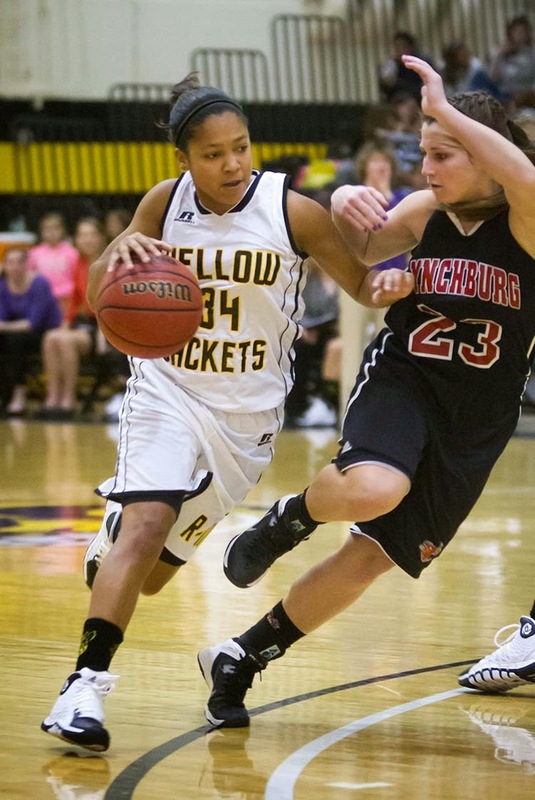 The Yellow Jackets women's team took an 83-71 victory at Hollins University Saturday afternoon as Sarah Parsons returned from a concussion to score 16 points. 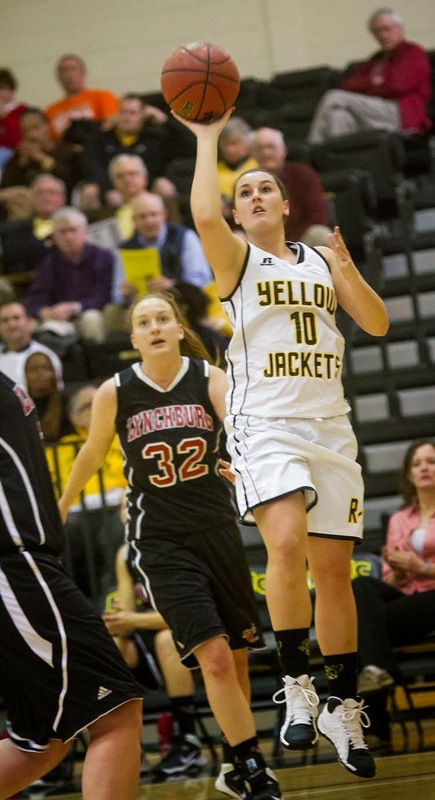 Taylor Huber added 11 for the Jackets, now 9-3 in the ODAC, alone in the 3rd place, and 16-5 on the season. TRACK: The Atlee girls team won the first-ever Conference 11 Tournament Team Championship Saturday evening at the Arthur Ashe Center. The Raiders scored 120 points to hold off runner-up Mills Godwin (115). Leading the way were India Lowe, winning the 55 Meter Hurdles in 8.82, the 4 X 200 Relay Team of Zaliah Carey, Sarah Spinner, CeeCee Harris, and Lowe in 1:52.79, and Betsy Chilcoat, the first-ever girls shot put Conference champion at 36 feet, 5 inches. The Lee-Davis boys placed second as a team at the Conference 11 event, finishing with 124 points behind champion Highland Springs, who had 137.5 points. GYMNASTICS: Patrick Henry swept the top two positions in All-Around Individual competition en route to a second place team finish at the inaugural Conference 11 Gymnastics Tournament Saturday at Deep Run. Kristen Valasek, two-time defending Central Region Champion, won the All-Around with 37.175 points, just ahead of teammate Keion Greenhow, 2nd in the overall with 36.925 points. Greenhow won the vault competition with the tournament's top individual score: 9.7. Valasek was victorious on the bars at 9.425. Lee-Davis' Becca Fields had a fine floor performance, winning that competition with a 9.625. Teammate Madison Godsey placed second at 9.575, while Valasek was third at 9.450. Many county gymnasts will compete at the first-ever 5A South Region Championship next Saturday at Deep Run. SWIMMING: Lee-Davis' boys and girls teams both placed fourth against usually rugged 757 competition in the inaugural Conference 9 Tournament Saturday in Virginia Beach. Individual winners include Hannah Ikenberry in the Girls 100 Backstroke (1:09.90) and the 200 Freestyle (2:12.48), Jordan Witherow in the Boys 400 Freestyle (4:20.84), and Molly Sheffield in the Girls 200 IM (2:26.98). WRESTLING: Hanover overcame a five-point deficit in the championship round to overtake Glen Allen and win the first-ever Conference 20 Tournament in Dinwiddie. After a long season suffering through and overcoming injuries, Hawks head coach Aaron Bradley was named Conference 20 Coach of the Year. Individual champions were Bishop Guempel, Corbin Allen, T.J. Allen, Tyler Flora, Gray Hart, and J.D. Gregory. Lee-Davis had a successful Conference 11 Tournament with four individual champions, capped off by Hayden Keener being named Most Outstanding Wrestler of the Year in the conference! The team, however, fell just three points short of the Team title, 203-200 to host school Mills Godwin. Atlee finished in fifth place overall. Andrew Anthony, David Boyle, and Chris Morris joined Keener as individual champions. Watch out for the Atlee Raiders. On a tear since winning their bracket at the Boo Williams/Ronald Curry Christmas Classic in late December, they found a signature win Monday night in Ashland. The Raiders ran away from Patrick Henry in a surprising showing of relentless defense and the offensive combination of Cierra Shelton and Ashley Weaver, routing the Patriots 76-47. Atlee (10-4) went on a 32-17 run over ten minutes, encompassing the final two minutes of the first half and the entire third quarter. Shelton had 13 of her points during a seven-minute stretch of the third alone. Amber Lee led Patrick Henry (11-3) with 17 points while Summer Price, saddled with foul trouble most of the night, added 16. The loss was the first for the Patriots since a 38-37 loss to Hermitage December 23rd. "Our first goal was to win the county, then move on to bigger goals," Atlee head coach Michael Rawlings said. "So far, we've done that. We've grown so much from day 1, day 2, day 3." The Raiders get a chance to avenge one of their losses when they travel to Glen Allen Tuesday night to face the 13-4 Jaguars. Patrick Henry regroups and travels to Douglas Freeman Wednesday before Senior Night Friday against Deep Run in a game to be heard live on HCS Media Network. 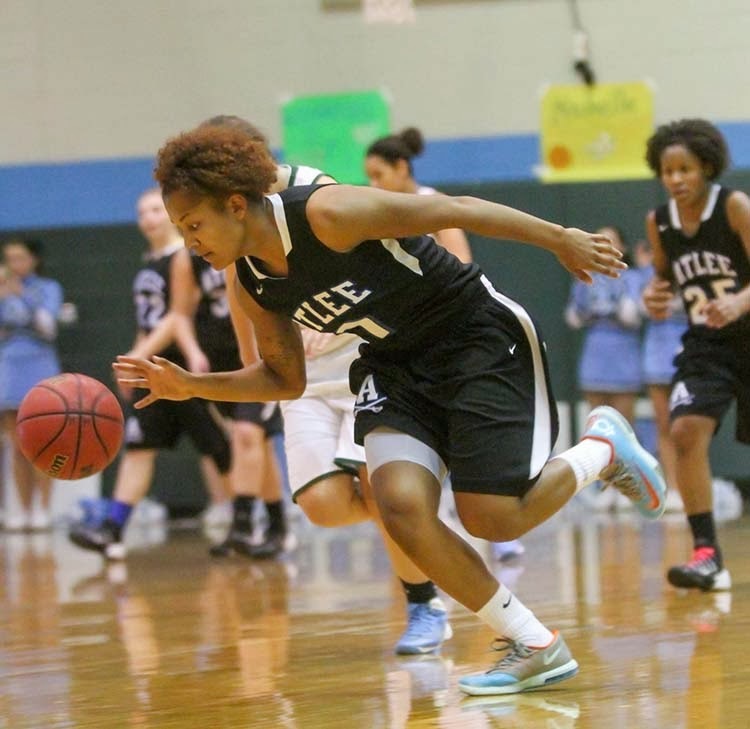 VIDEO EXTRA: Watch HCS Media Network's exclusive post-game interview with Cierra Shelton of Atlee BY CLICKING HERE! 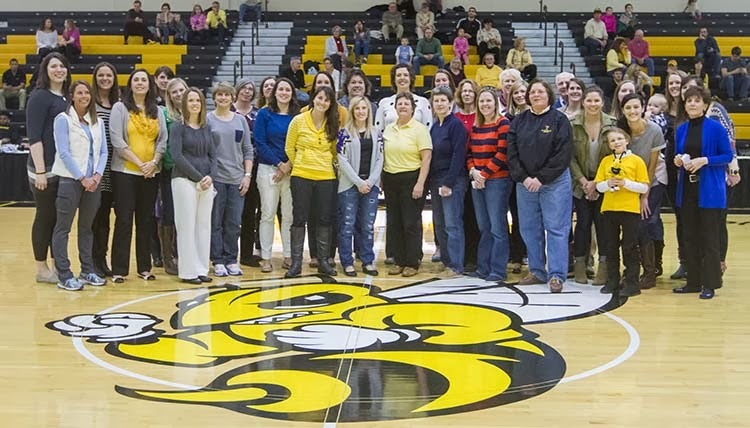 THE WRAP: Huge Victories For Randolph-Macon at "Back To The Hive"
On a day where the cornerstone of Randolph-Macon College basketball, Paul Webb, was honored, on the 25th Anniversary of the "Back to the Hive" celebration, the Yellow Jackets, both women and men, put on shows to remember against the top of the ODAC. The women used a red-hot run from Hannah Livermon and tremendous aggression on both ends of the floor to run away from Lynchburg 91-73 to improve to 7-3 in ODAC play, 14-5 overall. Katie Anderson led the way with 24 points, Taylor Huber had 23. But it was Livermon's 10-point outburst in less than 3 minutes approaching the halfway mark of the second half that put the game out of reach. Not to be outdone, the Yellow Jacket men took the court in front of Randolph-Macon royalty and proceeded to rout the only league team to hand them a loss. The Jackets defeated Guilford 103-58 to move to 9-1 in the conference, first place to themselves, avenging an overtime loss in Greensboro in late November. Randolph-Macon shot an amazing 65 percent from three-point range (13-of-20). Chris Hamilton led with 16 points. He, Jamie Wilson, and Connor Sullivan each had mini-runs from beyond the arc as the Jackets just kept building and building and building the lead. Guilford never got into offensive rhythm, shooting 29.8% for the game. Head Coach Nathan Davis was certainly pleased with the performance, but has bigger goals in mind, encapsuled by his early statement to reporters after the contest. "I need to make sure this is not the best game we play this season," Davis stated, clearly not planning on allowing his team to peak too soon, with the ODAC Tournament still 4 weeks away. Davis also pointed out that with a veteran team, he expects that element to keep the upward mobility going. Their next test, for a chance at a 12th straight victory, is at Bridgewater on Wednesday night. The Jackets were 8-0 in January and last lost at #2 ranked Cabrini 98-91 December 18th. As for the women's team, they look to get a game closer to a first-round bye in their ODAC Tourney when they host Virginia Wesleyan Tuesday night at Crenshaw Gymnasium. The Jackets and Marlins are in a three-way tie for third in the ODAC with Guilford. The top four teams get a bye straight to Salem on the final week of February. ADDED: HCS Media Network to air PH/Hermitage Girls, Round 3 on February 14th! On the final scheduled night of the regular season, HCS Media Network brings you a special treat for Valentine's Day! It's the final high school meeting in the storied rivalry between Patrick Henry's third all-time leading scorer, Summer Price, and Hermitage's junior standout, Destini Walker, as the Patriots come to The Herm to battle the Panthers! Airtime will be 5:45pm EST live from Hermitage High School! 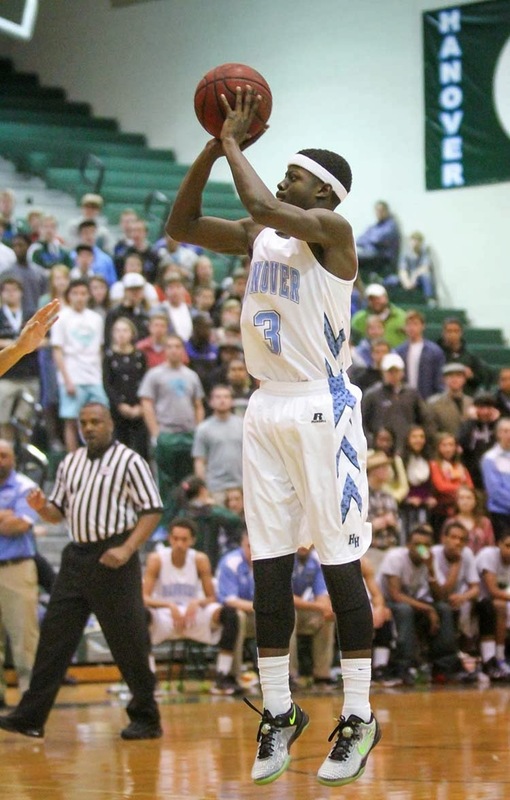 A look back at Friday night's rivalry showdown between Atlee and Hanover! In games heard live on HCS Media Network, the Atlee girls downed Hanover 51-27 behind Cierra Shelton's 23 points, while the Hanover boys held off Atlee 74-69, turning back three different comeback attempts to hold on for the win to move to 11-5.